This rousing anthology features the work of more than twenty-five writers from the great twentieth-century counter-cultural literary movement. Writing with an audacious swagger and an iconoclastic zeal, and declaiming their verse with dramatic flourish in smoke-filled cafes, the Beats gave birth to a literature of previously unimaginable expressive range. The defining work of Allen Ginsberg and Jack Kerouac provides the foundation for this collection, which also features the improvisational verse of such Beat legends as Gregory Corso, Lawrence Ferlinghetti, Gary Snyder and Michael McClure and the work of such women writers as Diane di Prima and Denise Levertov. 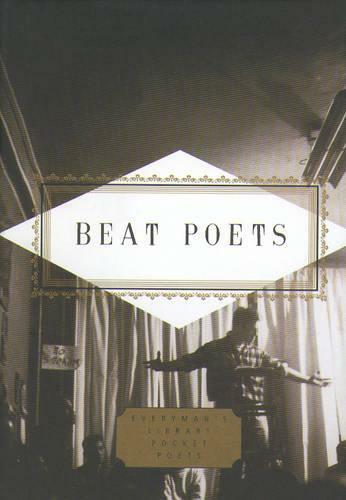 LeRoi Jones's plaintive ``Preface to a Twenty Volume Suicide Note'' and Bob Kaufman's stirring ``Abomunist Manifesto'' appear here alongside statements on poetics and the alternately incendiary and earnest correspondence of Beat Generation writers. Visceral and powerful, infused with an unmediated spiritual and social awareness, this is a rich and varied tribute and, in the populist spirit of the Beats, a vital addition to the libraries of readers everywhere.